The Iron Knuckle is a recurring enemy type in the Legend of Zelda series. They debuted in The Legend of Zelda II: The Adventure of Link (1987) and returned for the first time in The Legend of Zelda: Ocarina of Time (1998) and the last time so far in The Legend of Zelda: Majora’s Mask (2000). 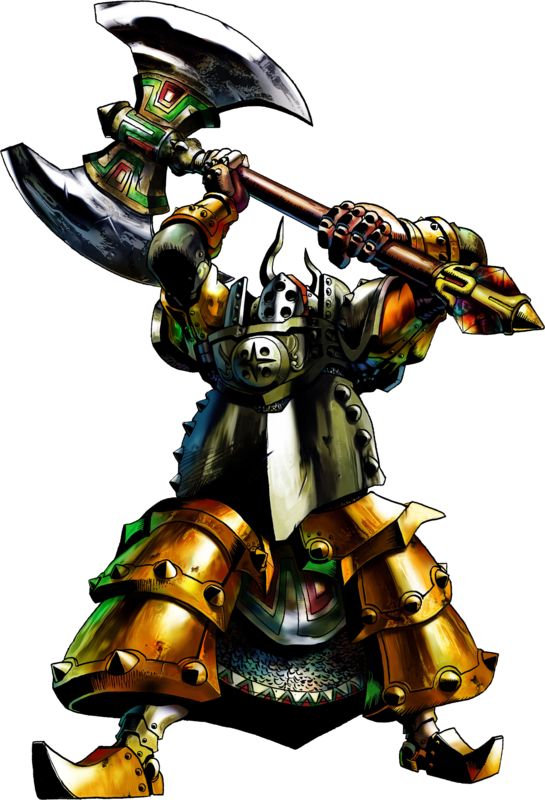 There were three Iron Knuckle based Boss Characters so far with Rebonack in Zelda II, Naboruu in OoT and General Onox in LoZ: Oracle of Seasons (2001). 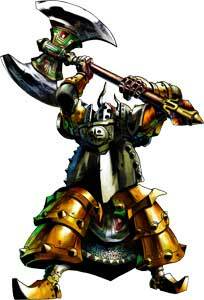 The Iron Knuckles are kinda similar to the Darknut enemies, they wear heavy armor and weapons. The 3d Models and faces of the Gerudo were used in OoT and MM but it was never confirmed that they were not just used to save resources.